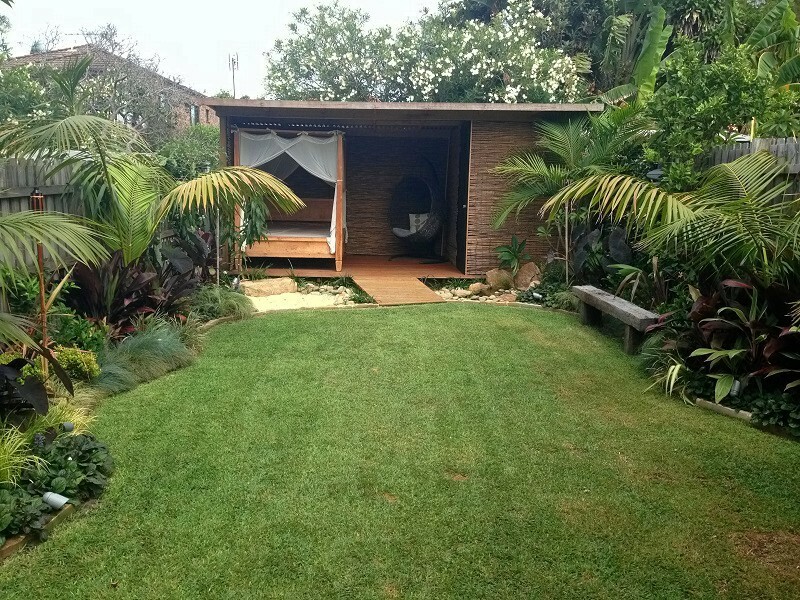 Balinese Garden Northern Beaches Sydney – Tropical Garden Design. Lush Tropical Garden Design. Palms, Glossy Foliage, Water Feature, Outdoor Hut/Pavilion. Balinese Style Garden Design and Construction. Tropical Garden Landscaping.